Deemed the 4×4 of the Decade by Four Wheeler magazine, the Jeep Wrangler Unlimited has returned with additional accolades as the 2016 Best Resale Value in the Midsize SUV/Crossover segment by KBB.com, and even boasts the most comfortable interior in it’s class based off of 2015 Wards small sport/utility vehicle segment. The Best-in-Class off-road performance you’ll experience with Wrangler Unlimited is enhanced with comfort and convenience-driven accents like available heated, leather-trimmed front seats, illuminated cup holders, lighting in the footwell and an available auto-dimming rearview mirror with integrated LED map lights. In addition to the maximum comfort you’ll fall for behind the wheel, this off-roading gem is jam packed with versatile and utility-driven features that you’re sure to love. Equipped with a wash-out interior with drain plugs, lockable center console storage, and illuminated features; rugged form meets convenient function in your new Jeep Wrangler Unlimited. 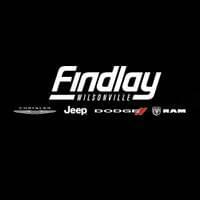 At Findlay Wilsonville Chrysler Jeep we have the selection of Jeep SUVs to not only meet, but exceed any adventurer’s expectations. Skid plates, tow hooks, and fog lamps prepare you for whatever the wilderness has in store. 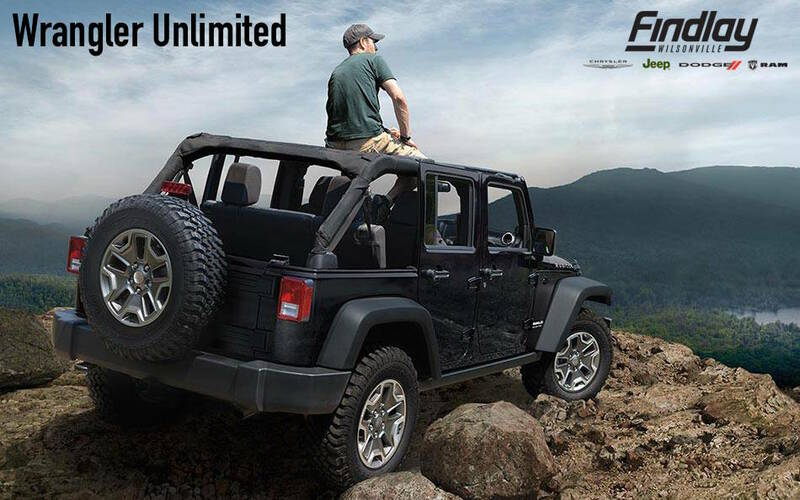 With legendary capability allowing you to tackle any terrain: sand, snow, mud, or rock, Wrangler Unlimited sports the Trail Rated badge to signify it’s superior prowess on and off the trail, and we’re certain to have the one that best suits your journey at our Jeep showroom in Wilsonville, OR. Explore our selection of new and pre-owned Jeep SUVs at our user-friendly website ahead of time and even apply for pre-approved financing options while you’re there. Why waste time at the showroom doing paperwork when you could be spending it on an exciting test drive? Whichever is more convenient for you is more convenient for us, so give us a call at (503) 563-7222 to set up an appointment or drop by on your time. We look forward to equipping you with your most adventure-ready tool yet, so reach out to us today.